Home » Blog » Could your child have Osgood-Schlatter Disease? Keeping children active in school is extremely important. But at what cost? Sports activities such as running, basketball and soccer are all great ways to stimulate your child’s mind and promote a healthy lifestyle. However, activities like these that put stress on the kneecap can result in painful swelling and an even more uncomfortable bone growth below the knee—especially if your child is still experiencing a growth spurt. Symptoms: Main indicators of Osgood-Schlatter disease include knee pain and swelling just below the kneecap. When kids are involved in sports that use the quadriceps muscle often, the muscle pulls on the tendon that connects the kneecap to the top of the shinbone. Known as the growth plate, this area of the shinbone undergoes frequent stress when exposed to rigorous activity. For some children experiencing growth spurts, their bodies may try to compensate for the gap caused by the pulling with new bone growth. This is why some children with Osgood-Schlatter disease often have an uncomfortable lump at the top of their shinbone. Symptoms can occur in one or both knees but usually will subside when your child is done growing. Causes: As mentioned previously, causes can include exposure to sports activities that require frequent jumping and bending such as ballet, volleyball and field hockey. Risk factors can also come into play. Since girls experience puberty earlier than boys, the condition affects those between age 10 and 13. For boys, delayed growth makes them candidates between the ages of 12 and 14. This condition used to affect primarily boys, but as more and more girls become involved in sports it puts them equally at risk. If your child is especially inflexible, muscle tightness could exacerbate this condition. Treatment: Your physician should be able to detect the disease through physical examination and X-rays of the knee area. You can treat the uncomfortable side effects through over-the-counter medications such as ibuprofen and acetaminophen, or you can explore physical therapy to strengthen the quadriceps and stabilize the knee joint. Surgery is rare but can also be an option in extreme cases. Since the condition usually subsides after your child is done growing, long-term effects aren’t too much of a concern, although you may want to take some precautions. Prevention: If your child is experiencing painful swelling in the knee area, perhaps it’s best to have him or her rest and avoid stressful activities until your child can strengthen the quad muscles. If your child’s knees are especially prone to pain, it may be worth it to look into other types of activities that don’t require the same amount of frequent pressure on the legs. Swimming and yoga are great exercises that are actually known to be beneficial for the knees. Experiencing knee pain? 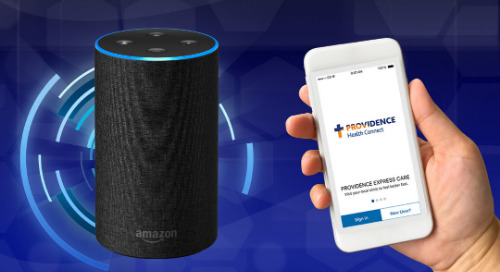 Find a providence doctor near you. Stay up to date on everything health care by subscribing to our free monthly newsletter.